“Master gave Dobby a sock, Dobby is free! !” It was about 12 years ago now that I was given that sock of freedom by my pal Harry. 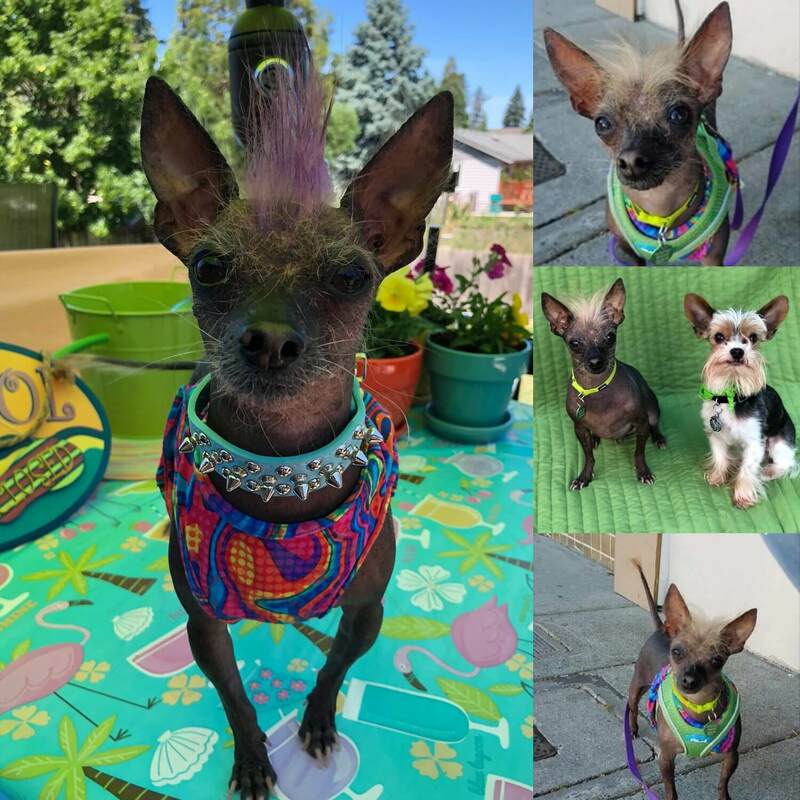 Now me, Dobby the house elf-Chinese Crested, has been living a life to the fullest, making friends and having my silly antics make them giggle along the way. I am a hilarious little dude with quite the fashion sense. Now that I get to wear whatever I want, instead of a stupid pillowcase, it’s all about those colors and bold prints that match the little tangerine patch of hair on my head! 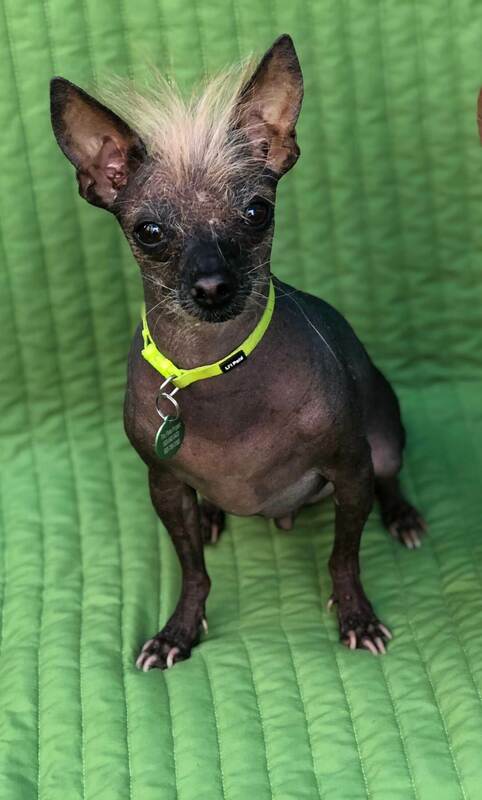 At around 12 pounds, I may be small, but I have a big heart ready to share with you. Whether it’s my human pals over 10 or my dog and cat buddies too, like the Gryffindor way, everyone is included! I currently really love hanging out with the other pups in my foster home. Before, I was living with a big dog who was very puppy like and that was pretty scary to me, so I mostly just hung out in my room. But I have been around older bigger dogs that are much more mellow like me and I like to snuggle up next to them! It’s been a long life of going on adventures and helping Harry Potter and his friends get out of crazy situations and save the day, but I am ready to retire from that super active life. Though, I still enjoy going for my slower paced walks in the morning and heading to the local restaurant’s patio to mingle with the crowd at night! And what can I say? I will still be down for saving the day, even if it is something as simple as turning a frown upside down! Funny, cute, and super sweet, I am ready to start our own little adventure today. Fill out an application, so we can meet! I come to you vaccinated, micro-chipped, and neutered with an up to date dental and an adoption fee of $350.